The Elite followed up on All In with another quick sell out of tickets during today's Double or Nothing pre-sale. The pre-sale began at 3 p.m. Eastern time today for those who requested codes. The tickets that were made available sold out in roughly 30 minutes, with travel and VIP packages also selling out. A limited number of remaining tickets will go on sale to the general public at noon Eastern this Wednesday. Matt Jackson tweeted after the pre-sale tickets sold out: "I think we need to try one in a bigger building." 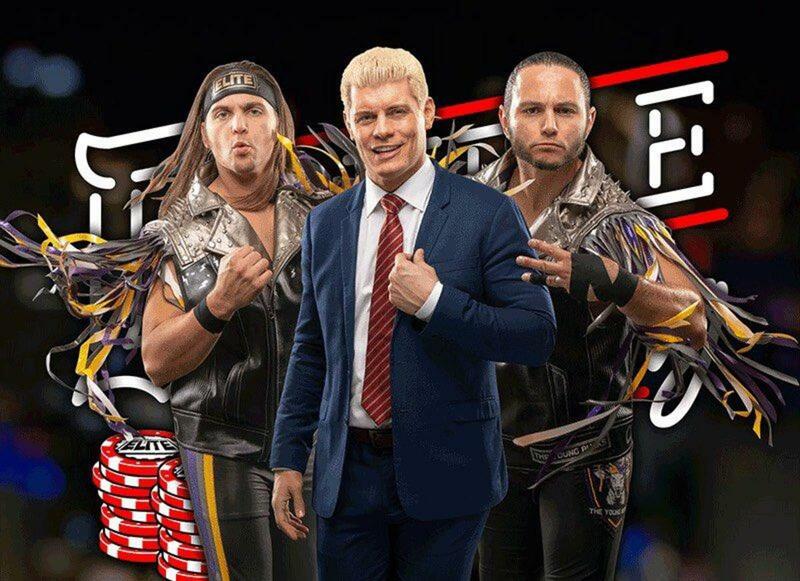 Double or Nothing is the first show being put on by All Elite Wrestling. It's taking place at the MGM Grand Garden Arena in Las Vegas, Nevada on Saturday, May 25. Kenny Omega vs. Chris Jericho, Hangman Page vs. PAC, and SoCal Uncensored (Christopher Daniels, Frankie Kazarian & Scorpio Sky) vs. Cima and two partners from China's Oriental Wrestling Entertainment have been announced for Double or Nothing. Last week's ticket announcement party also featured an angle building up a potential Young Bucks vs. Lucha Bros match, and Nyla Rose went face-to-face with Kylie Rae.